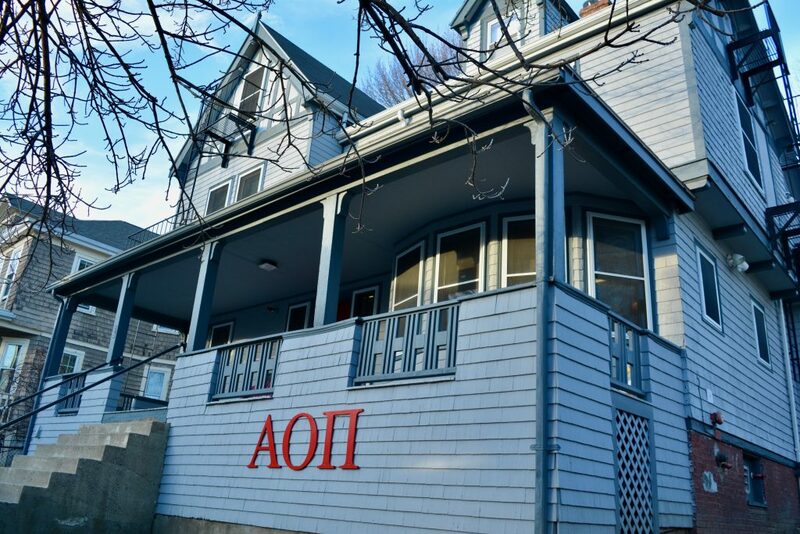 The Office of Residential Life and Learning (ResLife) designated the house occupied by the former AOII Delta chapter as transfer student housing for the upcoming academic year. This decision follows the AOII national Executive Board’s withdrawal of the charter for Tufts’ AOII chapter in December. Next year, ResLife will manage the property located at 25 Whitfield Road, which is owned by Tufts’ real estate subsidiary, Walnut Hill Properties, according to ResLife’s Associate Director of Housing Operations Matt Austin. The former AOII house includes space for 13 beds, laundry facilities and a kitchen in the basement with a large dining area, Austin said, noting that the property seems to be in suitable physical condition and that there are no current plans for any internal construction. Austin said that the space is comparable to other spaces previously used for transfer housing, adding that the former AOII house and the property at 45 Sawyer Ave. — which currently houses many transfer students — can both house between 13 and 15 students. Rainbow House will occupy the Sawyer Ave property in the upcoming academic year, and ResLife will maintain housing for transfer students at 25 Whitfield Road, Austin explained. “We’ve actually found that [it’s] been really great for us and for the students to really get connected to folks that are other transfers going through similar experiences,” he said. Transfer student Julia Pearl-Schwartz, who lived in the house at 45 Sawyer Ave. last semester, agreed that sharing a common space enabled transfer students to build a community. “Living at the transfer house is a great way to connect with other transfer students, which was especially helpful at the beginning of the year when we were all trying to figure things out,” Pearl-Schwartz, a sophomore, told the Daily in an electronic message. Austin says ResLife will listen to staff feedback about the current transfer house, with a goal of improving the housing experience for transfer students in the new location. “We’re working with [our Community Development Assistant] to get a sense of what’s important to transfer students and what can we do better next year that we might have fallen short on this year,” Austin said. Long-term plans for the house are unknown and will depend on student needs, Austin explained. He added that the houses will be the topic of broader discussions on housing in the coming year, with further integration of wood-framed housing through the Capen Village project. Despite ResLife’s goal of housing transfer students together, the school has not always found on-campus spaces that can house all transfer students. Last academic year, ResLife used Delta Tau Delta’s fraternity house, which Tufts leased from the fraternity’s alumni corporation, for transfer housing. During the 2015–2016 academic year, transfer students were spread out across available on-campus apartments, special interest houses and some residence halls, former ResLife Director Yolanda King told the Daily in a September 2015 article. Pearl-Schwartz said that moving forward, ResLife should ensure that it fits all transfer students together in a common space, based on its inability to house those students together consistently in the past. Acknowledging the need for a transfer student space, Austin noted that ResLife may choose to continue using the property as a transfer house in the long term. Austin agreed that a transfer student space helps to create community for those students and noted that ResLife may continue using the Whitfield Road property as a transfer house in the long term. He said that student and faculty feedback will play a large role in this conversation, adding that ResLife communicates regularly with the Tufts Community Union (TCU) Senate on the subject. “This kind of housing ecosystem thrives on dynamism, moving away from what I see as an unoriginal, shortsighted, potentially dangerous, and in practice inequitable, system of guaranteed housing, privileging select student organizations for spatial access, regardless of their behaviour and co-responsibility to the Tufts community,” she told the Daily in an electronic message. Kraus has worked throughout her presidential term to promote special interest housing, which Austin adds could be another future use of the former AOII in the long term. Austin encouraged students to work with their TCU senators to provide suggestions in light of larger conversations about housing, especially as wood-framed houses are incorporated into the university housing system. “It’s just a matter of identifying what’s the best thing for our community, and student feedback is important to that,” he said.